Why did the chicken cross the road? To get to the Funny Nuggets! 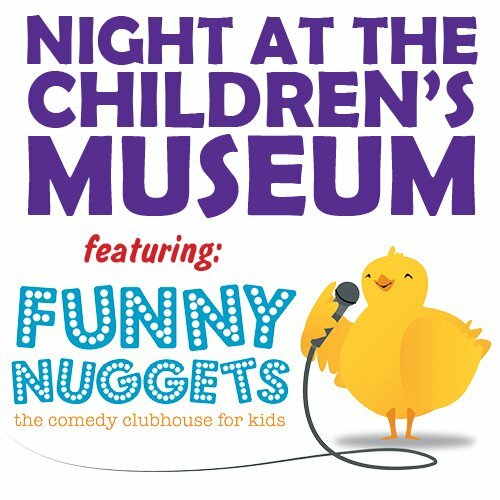 The Iowa Children’s Museum invites you to Night at the Children’s Museum featuring Funny Nuggets! Funny Nuggets is The Comedy Clubhouse for Kids. They are bringing their unique interactive program and entertaining cast to The Iowa Children’s Museum to put on a special pop-up comedy experience for YOU while giving your parents a break! Join us for a hilarious show, creative craft, and wacky improv games all centered around a snow day theme! Snack and play time in the museum included (don’t forget to eat dinner before you come).